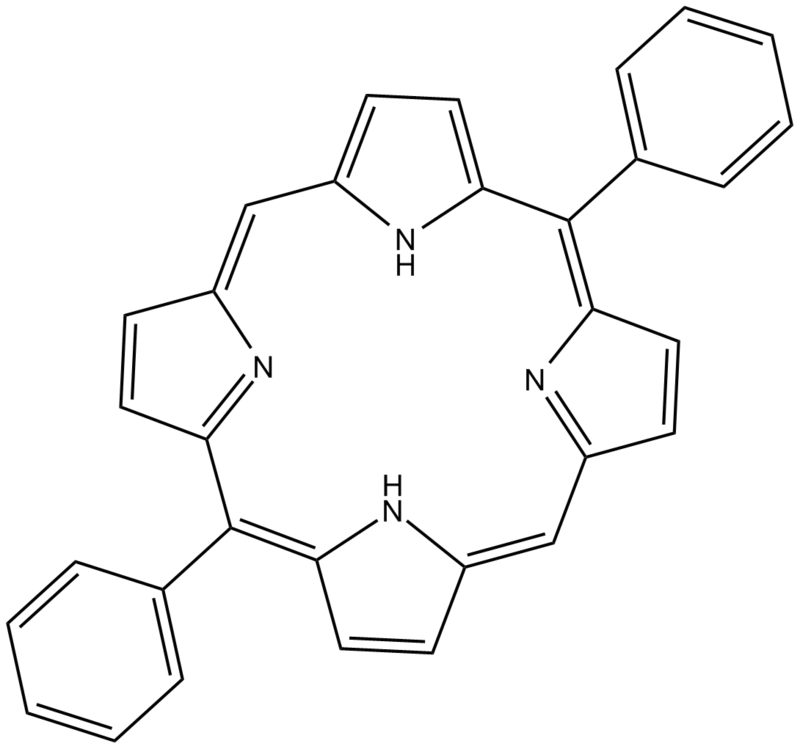 5,15-diphenylporphyrin (5,15-DPP) is a selective STAT3-SH2 antagonist . Stat3 is constitutively activated in many human cancers. Stat3 functions as a critical mediator of oncogenic signaling through transcriptional activation of genes encoding apoptosis inhibitors, cell-cycle regulators and inducers of angiogenesis . Aberrant STAT3 activity has been associated with transforming mechanisms induced by oncogenic tyrosine kinases . In vitro: 5,15-DPP directly bound to STAT3 and antagonized the function of STAT3-SH2. 5,15-DPP selectively antagonized STAT3-SH2 with an IC50 of 0.28 μM over the other SH2-containing proteins STAT1 and Grb2. The estimated KD values for the 5,15-DPP binding to STAT3 was 880 nM. Treatment with 5,15-DPP suppressed the DNA binding activity of STAT3 in a concentration-dependent manner. 5,15-DPP poorly inhibited STAT1 with an IC50 of 10 μM and showed no effect Grb2 . Uehara Y, Mochizuki M, Matsuno K, et al. Novel high-throughput screening system for identifying STAT3–SH2 antagonists[J]. Biochemical and biophysical research communications, 2009, 380(3): 627-631. Jing N, Tweardy D J. Targeting Stat3 in cancer therapy[J]. Anti-cancer drugs, 2005, 16(6): 601-607.